Simple and fast, all the tools you need. It’s so easy to customize and manage your store, whithout any technical know-how. From the colors of your store, to complex pricing rules, you’ve got it all covered. Get all the information you need in real-time on a single screen ‐ no confusing reports, no clutter. From the administration to the store themes, we designed everything so you can use it from anywhere. You could run your store out of a coffee shop, directly from your mobile. 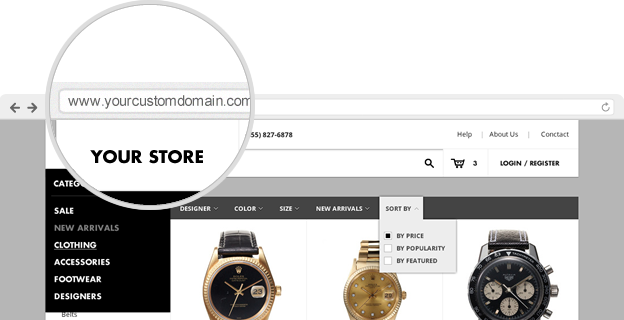 You can use the domain name you already have. It's especially nice if you already have an online store and want to switch to KloudStores. Talk to real people, not answering machines or robots. We listen and help.